1799: During the Quasi-War with France, USS Constellation, commanded by Capt. Thomas Truxtun, captures French frigate L'Insurgente off Saint Kitts and Nevis Island. 1943: Organized Japanese resistance on Guadalcanal ends, bringing to a close the battle that started in August 1942. 1895: Volley Ball was invented by W.G. Morgan. You," singing, "Yeah, yeah, yeah," and shaking their hair. 1969: The Boeing 747 flew its inaugural flight. Lord Darnley, the second husband of Mary, Queen of Scots, is murdered in his sick-bed in a house in Edinburgh when the house blows up. The USS Constellation captures the French frigate Insurgente off the West Indies. The House of Representatives elects John Quincy Adams, sixth U.S. President. Jefferson F. Davis is elected president of the Confederate States of America. Union General George Armstrong Custer marries Elizabeth Bacon in their hometown of Monroe, Mich.
Conscription begins in Great Britain as the Military Service Act becomes effective. Chiang Kai-shek meets with Sir Stafford Cripps, the British viceroy in India. The Red Army takes back Kursk 15 months after it fell to the Germans. Stalin announces the new five-year plan for the Soviet Union, calling for production boosts of 50 percent. Nelson Mandela becomes the first black president of South Africa. Perhaps with this "Indian Summer" and the possibility of a little snow tomorrow, when we all come to our senses, maybe we will move south for the winter! Ah, to be a Snowbird….Thanks Bob. THIS IS A SALUTE TO THOSE HARDY FOLKS ​ ​WHO LOVE THE CHANGING OF THE SEASONS!!!! For decades, the F/A-18 Hornet has been the Navy's front-line combat jet – taking off from aircraft carriers around the globe to enforce no-fly zones, carry out strikes and even engage in the occasional dogfight. But the Navy's ability to use these planes is now greatly hindered as more than 60 percent of the jets are out of service. That number is even worse for the Marine Corps, where 74 percent of its F-18s – some of the oldest in service – are not ready for combat operations. These figures are reflective of the erosion in readiness across all branches of the U.S. Armed Forces and a source of deepening concern for ranking military members and lawmakers in both houses of Congress. Top service branch officials sounded the alarm in a pair of congressional hearings this week about how bad the problem has become. "Our long-term readiness continues its insidious decline," Vice Chief of Naval Operations Adm. William Moran testified Wednesday before the Senate Armed Services Committee. He added, "While we are still able to put our first team on the field, our bench is largely depleted." During the hearing – and one on Tuesday before the House Armed Service Committee – the vice chiefs pleaded with lawmakers to repeal legislation limiting defense spending, arguing that fiscal constraints have crippled the military's capability to respond to threats. Despite annual defense spending coming in at more than $600 billion, each of the branches has asked to increase the 2017 defense budget by more than $30 billion to purchase new jet fighters and armored vehicles as well as improve training. This request from the panel of four-star military officers dovetails with President Trump's promise to reinvest in a "depleted" fighting force and his Defense Department's push to do away with limits on military spending. The Budget Control Act of 2011 set limits on how much could be spent on defense through 2021 while exempting money provided for overseas warfighting. Between 2011 and 2014, the Pentagon's budget fell by more than $100 billion and across-the-board spending limits known in Washington-speak as sequestration were triggered in 2013, which forced reductions that led to widespread concern the military services would be unprepared to fight. The Bipartisan Budget Act of 2015 provided temporary relief from the cuts, but unless the law is changed the limits will return in the 2018 budget year and would force defense budgets to levels far lower than the Pentagon says are prudent. If the budget caps are breached, automatic spending reductions would be triggered. According to testimony, the Navy is the smallest and least prepared it's been in 99 years. "It's a simple matter of supply can't meet demand," Moran said. The Navy has requested an additional $12 billion for 24 F/A-18E/F Super Hornet fighters, one San Antonio-class amphibious landing dock ship, and dozens more Sidewinder missiles. Gen. Daniel Allyn, the Army's vice chief of staff, said that only three of the Army's more than 50 brigade combat teams have all the troops, training and equipment needed to fight at a moment's notice. And the Marine Corps, which wants an additional $4.2 billion added to its 2017 budget, warned that the "nation's force in readiness" will have to continue shifting money intended for new weapons to pay current bills. The Air Force is the branch of the military that arguably is in the most dire straits, with aircraft numbers falling from 8,600 in 1991 to 5,500 today. There are 55 fighter squadrons, down from 134, and less than 50 percent of its combat forces are "sufficiently ready for a highly contested fight against peer adversaries," Air Force Vice Chief Gen. Stephen W. Wilson said in reference to countries like Russia and China. While the vice chiefs argue that financial constraints are corroding military readiness, some experts say that cash flow is only part of the problem and point to the United States' constant involvement in overseas conflicts over the past 15 years. "On one hand, our forces are more ready than ever because they are battle-hardened," James Dobbins, the head of international and security policy for the RAND Corporation and former ambassador to the European Union under President George H. W. Bush, told Fox News. "But they're not ready in the sense that they are not prepared to take on a peer adversary like Russia or China." "The pressure and 'wear and tear' on the forces have made that all but impossible," Dobbins added. The Republican chairmen of the House and Senate Armed Services Committees, Rep. Mac Thornberry of Texas and Sen. John McCain of Arizona, are pushing for a base military budget of $640 billion in 2018 — a nearly $100 billion increase over the amount authorized for the 2017 fiscal year. "I'm fully aware there is much, much more that needs to be done in a careful, thoughtful, but determined way," Thornberry said earlier this week. "Defense reform will be a part of my agenda as long as I've got this job." Thornberry and fellows hawks in Congress have argued that Republican plans to rein in federal spending in other areas, like Medicare and Medicaid, and a tax code overhaul could generate savings that can be funneled into defense spending. The Corvette used to be America's sports car. It will soon be America's exotic car. Something gained – maybe something lost. The next one – on deck for 2019 – will apparently be mid-engined, exotic in itself and certainly by Corvette-historic standards. The pushrod/two valve V8 will still be there, of course – one assumes – but beyond that and the name, what else will this Corvette have in common with all the ones that came before? Probably this will also include the car's price. It is already high. Not yet quite exotic (six figures being the water mark) but. . . . getting there. 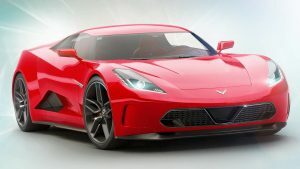 The current car's base price – $55,400 – is still a steal compared with what out-of-the-closet exotics go for (and the Corvette's performance is actually better than a number of exotics) but it's no longer just a bit of stretch more than it would have been back in the '70s or '80s, even, to get into one vs. getting into a loaded Z28, say. In 1977 – 40 years ago – the base price of a new Corvette was $$7,768 ($30,765 in today's money). A brand-new Z28, meanwhile, stickered for $5,170 ($20,475) that same year. The difference in dollars– if not percentages – wasn't that forbidding. Only about $2,000 (in 1977 money). If you could afford a new Z28, you could almost afford a new Corvette. It might take some saving, some crimping . . . but, realistic. Today, 2017, a new Camaro SS (the latter-day equivalent of what the Z28 used to be, back in the '70s) starts at $36,905 – about six thousand dollars more in real (inflation adjusted) dollars than a '77 Corvette. Granted, the '17 SS has literally more than twice the power (a base '77 Corvette with the standard L-48 350 packed all of 180 hp; the new SS has 420) and it has orders of magnitude superior brakes, wheels and tires, stereo and amenities generally. Still, the fact remains: The new SS is now at the same economic level that the Corvette used to occupy . And the current Corvette is at a level occupied by . . . exotics. On the lower end of the scale, perhaps. But no less so because of that. The guy – and it is almost always a guy – who can afford a new SS probably can't afford a new Corvette – which (like the Camaro) costs a lot more than a Corvette used to cost. It's already a big bump up from the cost of a '77 Z28 to the cost of a '17 SS – and it's another $20k jump from There to Here. 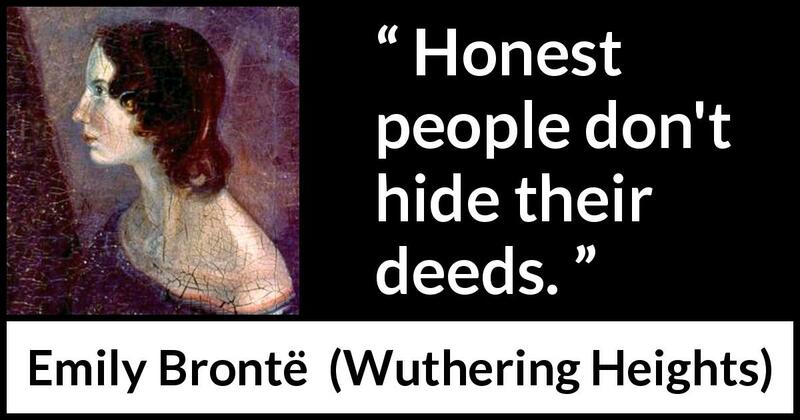 Not easily done – and probably not by the same guy. It will be a different guy. The next Corvette – the mid-engined one on deck for 2019 – makes this shifting marketing strategy explicit. Chevy is going full monte, whole hog. Exotic layout. . . probably exotic in price. A new kind of buyer is being courted. 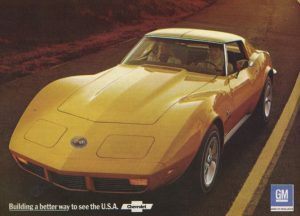 The people buying Corvettes today are not the same kinds of people who bought Corvettes back in '77. For openers, they do not wrench. They pay others to. They are upmarket people. Ferrari and Porsche people. Item Number:1 Date: 02/09/2017 AFGHANISTAN - REPORT ARGUES THAT TALIBAN'S LACK OF UNITY OPENS DOOR TO PEACE (FEB 09/VOA) VOICE OF AMERICA NEWS -- A new study suggests that divisions seen in the Taliban may create an environment suited to making peace, reports the Voice of America News. The report, based on dozens of interviews with Taliban insiders, proposes exploiting the differences within the group's rank and file. The new Taliban leader, Haibatullah Akhundzada, is widely seen as a "weak and divisive leader," said Theo Farrell of the Royal United Services Institute in the U.K. and co-author of the study. "The real power in the Taliban lies elsewhere," he said. The rank and file sees the movement as "leaderless," said Farrell. Informal peace talks have already taken place between the Afghan government and Taliban leadership. Many senior commanders demand that the 13,000 NATO-led military personnel leave Afghanistan before formal talks can begin. That senior Taliban leadership should be circumvented, enabling dissenting commanders to meet and discuss an end to the conflict, said Farrell. Item Number:2 Date: 02/09/2017 BAHRAIN - FUGITIVES CAUGHT TRYING TO FLEE BY BOAT TO IRAN (FEB 09/MALTODAY) MALTA TODAY -- Security forces in Bahrain say they have thwarted an attempt by "terrorist fugitives" to flee to Iran, reports Malta Today In January, gunmen attacked the Jau Prison near Bahrain's capital, Manama, freeing at least 10 prisoners charged with terrorism and killing one policeman. On Thursday, security forces foiled the "trafficking" attempt in a dawn operation, said the Interior Ministry on its Twitter account. "Preliminary joint investigation indicates the fugitive boat was heading to Iran," said the statement. No details were immediately given on the number of people arrested. Item Number:3 Date: 02/09/2017 CANADA - OVERWHELMING DATA REQUIRED FOR BIDDING ON FRIGATE PROGRAM HAS MULTIPLE BIDDERS LOOKING FOR DELAY (FEB 09/OC) OTTAWA CITIZEN -- Four shipbuilders have asked the Canadian government to delay the bidding process for the Canadian Surface Combatant program, adding to the project's problems, reports the Ottawa Citizen. On Monday, the Citizen reported that Italian shipbuilder Fincantieri had told Procurement Minister Judy Foote that it might not even bid because of the poor structure of the program. The Public Services and Procurement Ministry has since confirmed that four of the 12 firms pre-approved to bid on various components of the program are seeking a postponement. The plan calls for Irving Shipbuilding in Halifax to build the new frigates for the Royal Canadian Navy. The government and Irving are considering the requests, said a spokesman for the ministry. Some firms say that only allowing six months to prepare a bid for such a large project is not enough time, given the amount of technical data and other information required by Ottawa. Item Number:4 Date: 02/09/2017 CHINA - FOREIGN VISITORS TO BE FINGERPRINTED UPON ENTRY (FEB 09/SCMP) SOUTH CHINA MORNING POST -- China now requires the fingerprinting of foreign visitors as part of an effort to boost border security, reports the South China Morning Post. All foreign passport holders between the ages of 14 and 70 will have to leave their fingerprints upon entry, said the Ministry of Public Security on Thursday. The information will be stored. The new rule will be gradually rolled out throughout the country beginning on Friday at Shenzhen Baoan International Airport. The regulation would strengthen immigration controls and increase efficiency, said the ministry. Foreigners with diplomatic passports and visas are exempt. The U.S., Japan, Taiwan and Cambodia, among others, have similar requirements, noted Reuters. Item Number:6 Date: 02/09/2017 ESTONIA - AUDITOR LAUDS IMPROVEMENTS IN MILITARY READINESS, GEAR, WHILE PANNING RESERVE PARTICIPATION (FEB 09/EPR) ESTONIAN PUBLIC RADIO -- Estonia's National Audit Office has praised the Defense Ministry and military for its improvements in a number of areas over the last four years, reports Estonian Public Radio. Progress has taken place in the areas of combat readiness, staff and equipment, according to an NAO release on Wednesday. Combat readiness has improved systematically in accordance with the National Defense Development Plan for 2013 to 2022. That plan has been successful because it set realistic goals and received sufficient funding, the auditor notes. Staff skills and equipment has improved for almost all combat units, according to the NAO. The audit also found areas that need improvement. For example, says the auditor, the military has not been successful in ensuring that enough people complete mandatory military service and take part in reservist training. A number of conscripts have been assigned to reserve units sooner than planned, primarily for health reasons, says the NAO. As a result, the number of reservists with sufficient training and in good health is below the requirements for wartime units. Item Number:7 Date: 02/09/2017 GAMBIA - PRESIDENT ANNOUNCES THAT ECOWAS MISSION HAS BEEN EXTENDED FOR AT LEAST 3 MONTHS (FEB 09/ANO) AFRICA NEWS ONLINE -- The mandate of the West African regional force in Gambia has been extended for three months, reports Africa News. The force was formed after longtime President Jammeh refused to step down after losing elections to Adama Barrow in December 2016. In January 2016, West African troops from regional bloc ECOWAS crossed into Gambia at the request of Barrow, helping mediators pressure Jammeh to leave, noted Reuters. The 7,000-strong force has personnel from Ghana, Nigeria, Senegal, Togo and Mali. Barrow's office announced on Wednesday that the mandate of the force had been extended "by three months subject to renewal." A senior United Nations official said in late January that Barrow had requested the force's mandate to be extended by six months. Item Number:8 Date: 02/09/2017 GREECE - AIR FORCE DECIDES TO UPGRADE F-16S, THEN EYES POSSIBLE F-35 PROCUREMENT (FEB 09/KATH) KATHIMERINI -- The Greek air force is in the early stages of a program to upgrade its fighter capabilities, reports the Kathimerini newspaper (Athens). The plan calls for modernizing the existing fleet of F-16s. Eventually, the service will try to buy F-35 Lightning II stealth fighters from the United States, the Defense Ministry said on Tuesday. In addition, the air force will seek to reach an agreement on maintaining its Russian-built S-300 air defense systems. If the F-16s are upgraded to the latest F-16V configuration, they would be compatible with F-35s, if those stealth aircraft are bought, according to air force leaders. The F-16 modernization program has been estimated at between US$1.7 billion and US$2 billion. Defense Minister Panos Kammenos signed a letter of request for the upgrades on Tuesday, officials said. Athens has already been considering updating radar systems on its S-300s to improve the accuracy of its missiles. Item Number:9 Date: 02/09/2017 INDIA - ON THEIR WAY TO BIHAR, COMMANDOS APPARENTLY GO AWOL (FEB 09/HT) HINDUSTAN TIMES -- Indian officials say that several dozen personnel from an elite unit of India's paramilitary Central Reserve Police Force (CRPF) are not missing as has been reported, but rather went home without permission, reports the Hindustan Times. At least 59 paramilitaries from the CRPF's elite CoBRA unit allegedly decided to visit their families midway through a train journey to their deployment location, the officials said on Monday. The acronym stands for Commando Battalion for Resolute Action. The commandos were part of a group of 300 that was returning from a six-month training course at the CRPF's center in Srinagar, in India-administered Kashmir, said the officials. They were on their way to Gaya in India's northeastern Bihar state. Disciplinary action will be taken against the absent troops, said a senior CRPF official. Item Number:10 Date: 02/09/2017 INDONESIA - MILITARY CHIEF ACCEPTS AUSTRALIA'S APOLOGY OVER OFFENSIVE TRAINING MATERIALS (FEB 09/SMH) SYDNEY MORNING HERALD -- Indonesia's military chief says he has accepted an apology from the head of the Australian army over training material considered offensive that was used at an army base in Perth, reports the Sydney Morning Herald. In early January, the Indonesian military first indicated it was suspending all cooperation with Australia after a language instructor found material mocking Indonesia's founding principles, Pancasila. The government later clarified the suspension only covered one language-training program, noted ABC Online. On Wednesday, after Indonesian Gen. Gatot Nurmantyo accepted the apology, he said a decision was still being made about continuing military cooperation. The Australian military said it would stop Indonesian language learning activities, conduct an internal restructure, revise learning materials and punish those involved with the incident, said an Indonesian military statement. Item Number:12 Date: 02/09/2017 JAPAN - U.S. MARINE F-35BS BEGIN OPERATING FROM FUTENMA, KADENA BASES (FEB 09/IIIMEF) III MARINE EXPEDITIONARY FORCE -- Recently arrived U.S. Marine Corps F-35B Lightning II stealth fighters have started flight operations in Okinawa, Japan's southernmost prefecture, reports the III Marine Expeditionary Force. Regularly scheduled training near the island of Okinawa began this week, becoming the first announced action of the F-35B in the region. The jets from Marine Aircraft Group 12, 1st Marine Aircraft Wing, will operate on a transient basis out of Marine Corps Air Station Futenma and Kadena Air Base, similar to the F/A-18 Hornets and AV-8B Harriers they are replacing, III MEF said in a Tuesday release. Details of the flights will not be made public, as has been the case with the other aircraft. The Marine F-35Bs arrived in Okinawa last month for the type's first overseas deployment, noted the Stars and Stripes. Item Number:15 Date: 02/09/2017 NIGERIA - ARMY WANTS TO ENLIST THOSE DISPLACED BY TERRORISTS (FEB 09/THIS) THIS DAY -- The Nigerian army has decided to recruit eligible internally displaced persons (IDPs), reports This Day (Lagos). Representatives of the IDPs, in particular those dislocated by Boko Haram terrorists, have been campaigning with military leaders for the opportunity to join the armed forces. Recruiting IDPs is part of a strategy to empower them and enable them to contribute to national development, according to the Nigerian army headquarters. Maj. Gen. Peter Bojie, the head of civil-military affairs for the army, told IDPs to apply whenever an enlistment exercise is held. Applicants will have to pass the same requirements as any other recruit, he said. Item Number:19 Date: 02/09/2017 USA - NEW USAF COURSE AT NELLIS EMPHASIZES SORTIE PRODUCTION AT TACTICAL LEVEL (FEB 09/AFNS) AIR FORCE NEWS SERVICE -- The U.S. Air Force has started its first advanced course specifically focused on generating aircraft sorties at the tactical level, reports the Air Force News Service. The 13-week Advanced Sortie Production Course is being taught at the Advanced Maintenance and Munitions Operations School at Nellis Air Force Base, Nev. Students will learn how to use assigned people, processes and resources to maximize mission execution and increase the number of sorties that can be conducted, the Air Force said in a release on Tuesday. The course includes academic instruction and insight into problem-solving using personal experiences from senior leaders, the service said. Experienced personnel will provide students with plans, ideas and proven solutions for many of the problems seen across the Air Force, said the release. Graduates are expected to become "go-to" leaders who work with their operations group to resolve complex sortie production issues, said officials. Captains and majors in the 21A, 21M, and 21R career fields are eligible for the course, but they must be nominated by their wing commander. The inaugural class graduated on Dec. 7, 2016. The second class began on Jan. 23, the Air Force said. Item Number:20 Date: 02/09/2017 USA - RECENT U.S. AIRSTRIKES IN SYRIA KILL TOP AL-QAIDA LEADER, 10 OPERATIVES, SAYS PENTAGON (FEB 09/USDOD) U.S. DEPARTMENT OF DEFENSE -- The Pentagon has announced that U.S. airstrikes in Syria earlier this month killed 11 Al-Qaida members, including a key leader. Abu Hani al-Masri was killed in a drone strike on Feb. 4 in Idlib province, a DoD spokesman said on Wednesday. Al-Masri, also known as Hani Jasarevic, was one of the founders of the Egyptian Islamic Jihad, noted the Pentagon. That group has previously attempted attacks against U.S. and allied facilities, including one against the U.S. embassy in Albanian in 1998. The militant leader had close ties to Al-Qaida leader Osama bin Laden and oversaw the group's training camps in Afghanistan, said the spokesman. A separate strike on Feb. 3 killed 10 Al-Qaida militants, also in Idlib province. "These strikes disrupt Al-Qaida's ability to plot and direct external attacks targeting the U.S. and our interests worldwide," said the Pentagon spokesman, as quoted by the Voice of America News.